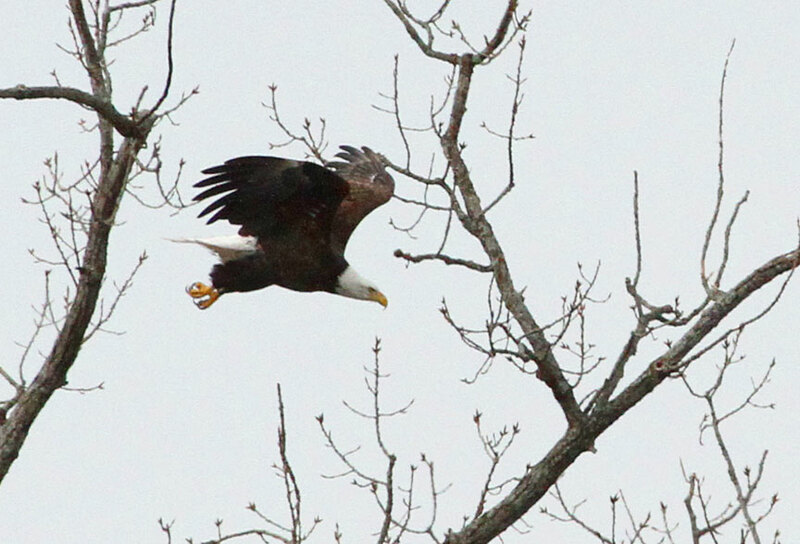 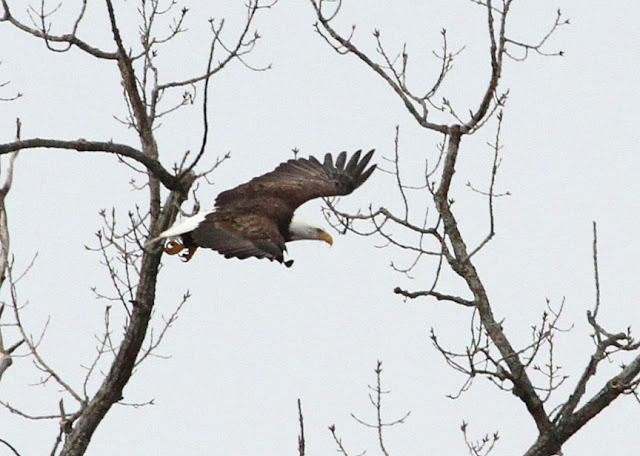 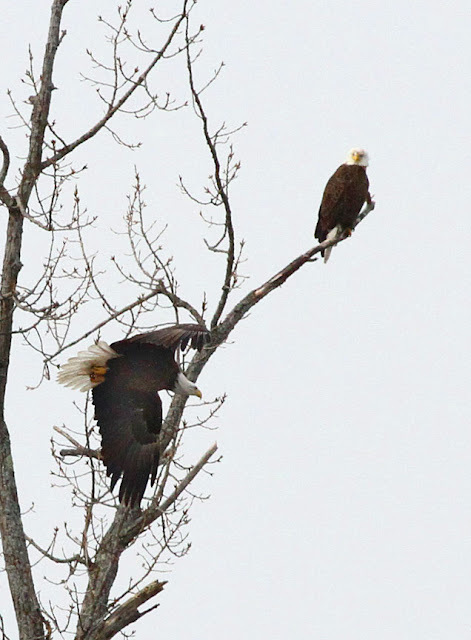 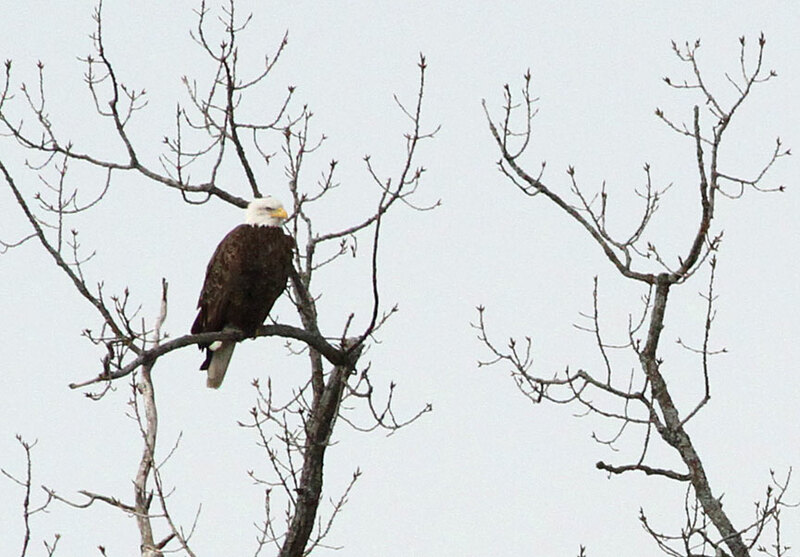 When we first observed 2 bald eagles on the Connecticut River, they were both sitting in the same tree. 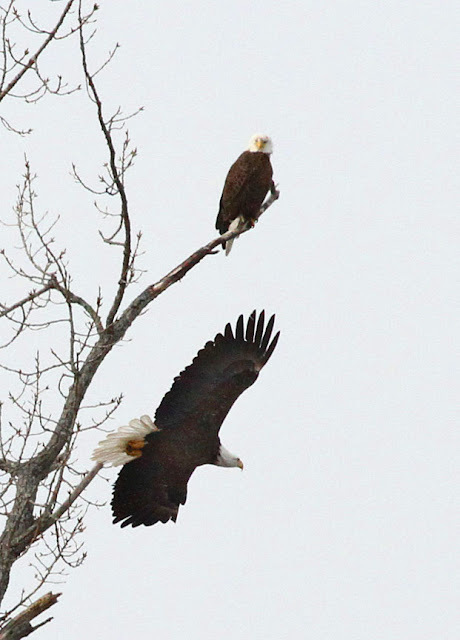 It was the perfect vantage for looking up the river, but one was sitting in front - the other behind. 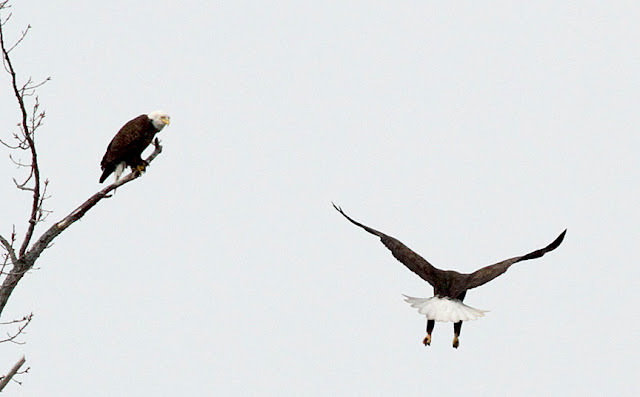 Time to change places! Enjoy the photos! 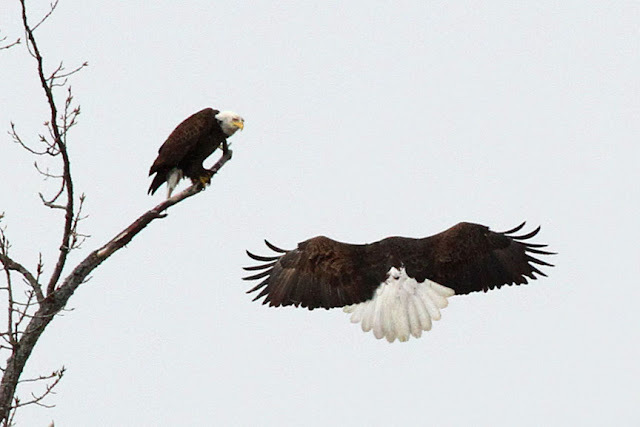 This is the "behind" eagle about to replace the one in front. 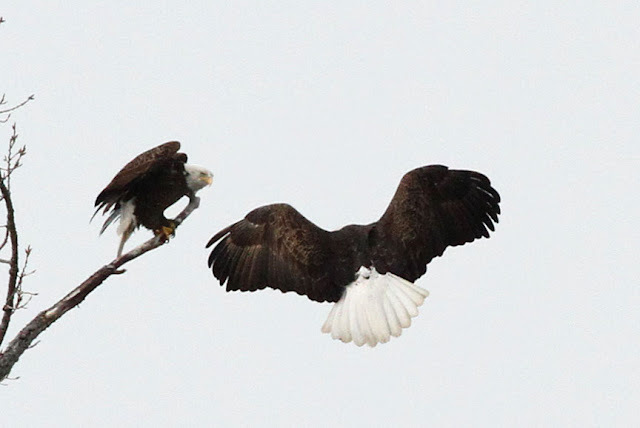 Now he/she is ready to take off and be replaced. The photo montage across the top of this posting is this one landing in the tree behind her/his mate! I'll bet it was one of these two who flew over my car on Rte 12 last week!